Not one of mine. 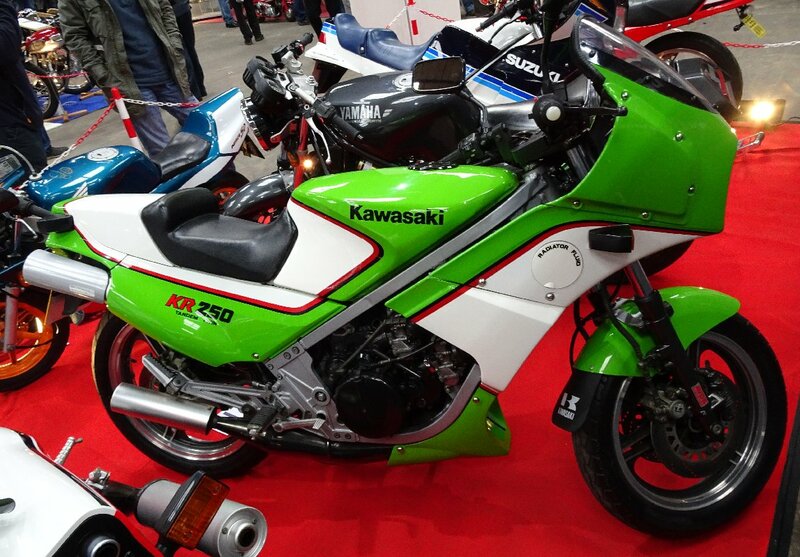 My mate's selling his green/white UK-reg KR250A if anyone's interested. Standard apart from a rear reflector and a front mudflap. It's got a genuine single-seat cowl too. It was on display on the Diff'rent Strokers stand at Stafford Show last weekend. He's asking a realistic £3500, and it's a much better prospect than the overpriced ones on Ebay with bits missing. He's on here (username Darin) or I can put you in touch if you're seriously interested. I looked at that last Sat at Stafford it was mint, what a great buy for someone.